As this year’s wild ride of a football season winds up for a super-sized finish, the 50th iteration of “The Big Game” is taking place on February 7. 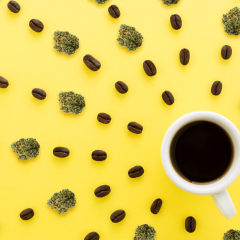 Now the question remains: Which cannabis strains should you enjoy while you watch to see who will take home the trophy? Like last year, we have a few suggestions up our sleeves. Whether you’re a ride-or-die Broncos supporter, a fanatical Panthers fan, or simply want to see what happens, we’ve lined up five strains for each team, plus three that are perfect for football regardless of who you support. Shout out the team you’re rooting for and what you’re planning to consume on Super Sunday in the comments! It won’t surprise anyone that this indica-dominant strain, which pays homage to the Broncos’ home area code, is Colorado-born and -bred. Its euphoric effects would pair perfectly with a home team victory. Broncos fans can only hope that their big-cat opponents are a little nervous for the Big Game. Cat Piss, a social sativa, is thus the perfect accompaniment to any game day party. When Denver faced Seattle two years ago in the historic first championship to pit two legal states’ teams against one another, the term “bowl game” took on new meaning – but unfortunately, Denver fans’ hopes went up in smoke that year. Here’s to a do-over. After watching “Superman” build momentum in leading the Panthers to two big playoff wins thus far, Denver fans could do worse than stocking up on plenty of Kryptonite for Super Sunday. With this year's trip to Levi's Stadium, the Broncos tie the record for most championship appearances ever, with eight. Unfortunately, they also hold the record for most losses ever, with five. This year, they aim for their third championship win to date. Die-hard Panthers fans already claim to bleed blue blood, so they won’t have any trouble getting behind this spirited indica-dominant strain. Facing off against a team with far more championship appearances under their belts than the Panthers themselves can count, Carolina fans will nevertheless be hoping that the team in orange gets skunked on February 7. Anyone looking to pay homage to Carolina’s mascot this weekend should stock up on this Panther-friendly hybrid strain, which promises euphoric effects to pair with a Panthers win. In the 20 years since their team was founded, the Panthers haven’t yet been able to bring the Lombardi trophy home to Charlotte. This year, their Super Dream is a Blue victory. It’s no secret that Cam Newton, a.k.a. Superman, has led his team in blazing a trail to this year’s championship game. 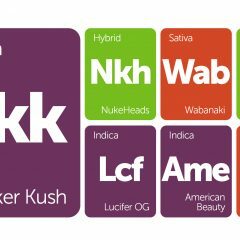 Pay homage to his suitable nickname with a strain that matches up. 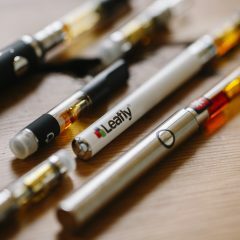 As fans of all affiliations make their way to the Bay Area for Super Sunday, light up this social sativa and gear up for some football. Bonus: it provides an appetite boost, meaning you’ll be able to snack on the usual chips, dips, pizza, cupcakes and more classic football fare all day long. 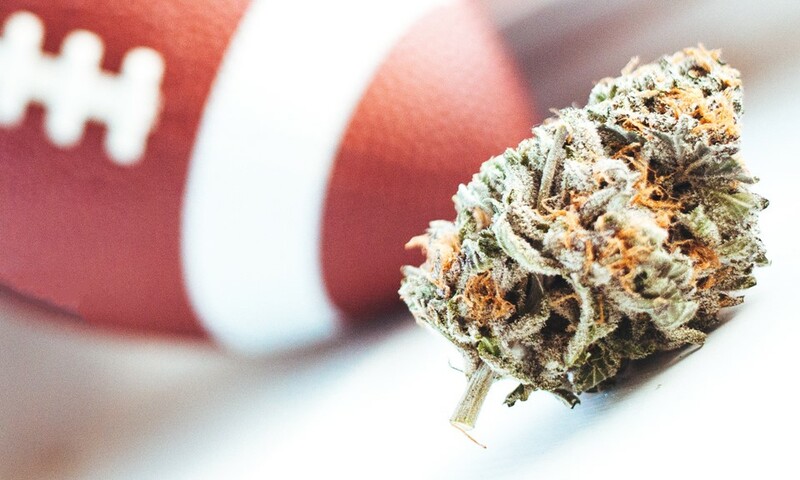 This indica-dominant strain promises relaxing effects, so if big sports games tend to be stressors for you, here’s a perfect way to enjoy yourself as Colorado and Carolina face off on-field. If you just want to watch, and don’t care one way or the other, make a game of the Big Game and take a hit of this hybrid every time a touchdown is scored. No matter the outcome, given Game Changer’s euphoric effects you’re guaranteed to have a good time.